I have a not-so-secret confession to make. I have a problem with a colour. Everyone has a favourite colour, or if that language is too exclusive for you, a colour that you would select over the others should a mad man point a loaded chicken at your head and force you to choose (I did say he was mad). 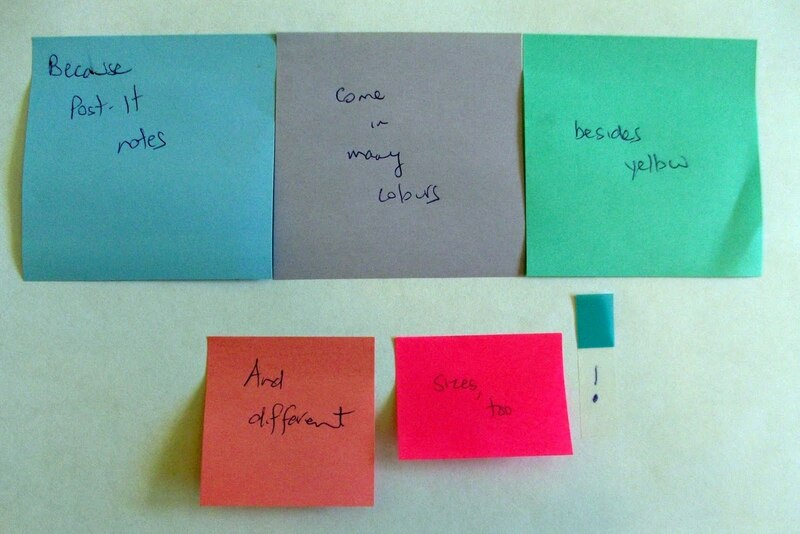 Conversely, I believe people have a least favourite colour as well. One in which if the aforementioned mad man were to threaten me with wearing a shirt of that colour or face the wrath of his loaded chicken, I would give serious thought to how loaded the chicken was. And with what. For me, that colour is yellow. I don't like it. Not even a little bit. It sets me on edge and gives me a headache. There are only a few concessions I have made to this horrid colour (and I can call it a horrid colour because this is my blog). For one, the kitchen and the stairwell to the basement are both yellow. My Lovely Wife tells me it's more cream than yellow, which has helped me deal with it to a degree. I can't help but feel that if you were to ask her without me present, she would smile and change the topic rather than risk me overhear her admission that she's pulled a yellow kitchen over my head. The other concession I make is my wedding ring, forever linking me to the woman who convinced me that cream isn't yellow. I just discovered that a new friend of mine has a similar dislike for yellow. Discovering this was sort of like how I imagine it must feel for that poor guy who thinks he's a freak because all he dreams about is of dressing up like cute woodlands creatures in Star Trek uniforms, and then discovers a website of like-minded freaks. One of the happiest days of my his life, I'm sure. I responded like anyone would when finding out that I wasn't alone: I got really excited and started talking about it to anyone who would listen in the hopes of finding more people with similar tastes. It didn't work. But a couple of weeks later, I did get something in the mail. This package couldn't have arrived at a better time, as it was a very nice bright and shiny spot in my otherwise very insane work schedule. My Lovely Wife took your note a little more to heart than I anticipated. I went looking for them so I could write this post and found them on her desk. In other non-yellow related news, I made it into the CBC Open Mic contest! So come on down and see me choke on Wednesday, February 8 at 7PM at the Pump House in beautiful downtown Moncton. I like stacking the audience with friendly people. Plus, I don't feel shame like normal people, so if I do crash and burn, I don't feel like I have to threaten anyone with a loaded chicken to keep them from talking about it.